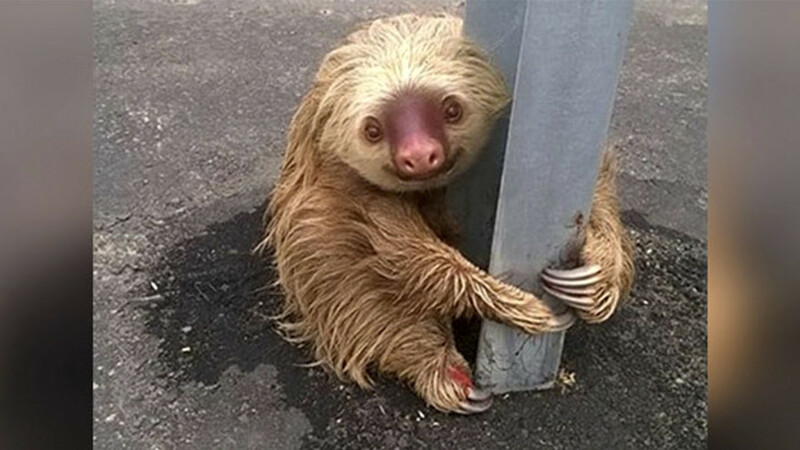 A sloth in Ecuador has become a social media star after being snapped clinging on to a crash barrier in the middle of a highway. Traffic cops eventually came to the aid of the cuddly creature, whose adorable face had brought motorists to a standstill. A post by the Comision de Transito del Ecuador (Transit Commission of Ecuador) on its Facebook page read: "We are grateful to all those people who were interested in the health of the animal. Sloths are native to Latin America and are renowned for their sluggish movement and long claws. Not all of them get the same positive reaction from the general public though. An Australian anti-drug advertisement which depicted a sloth as a stoner was ridiculed on social media.